The Standard and Poor's Case-Shiller Home price index is posted on the S&P website. Looking at the trend in prices, it really appears to me that prices have about bottomed out. 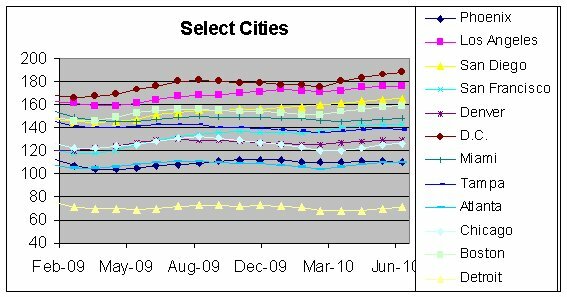 Prices are not in a downward slope and they are not on an upward curve, but appear to be in a trough. Of course this is just my own opinion based on the trend in prices. I don't have a crystal ball and I can't say for certainty what the future holds. 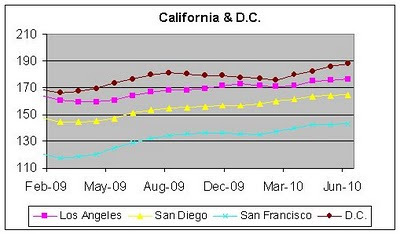 Now of course this is a national average and each city is going to be a bit different. You can see the trendlines are gradually moving upward overall. 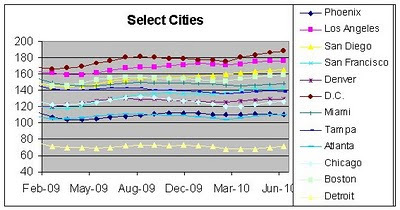 Some cities are pretty flat like Detroit which is the bottom line. 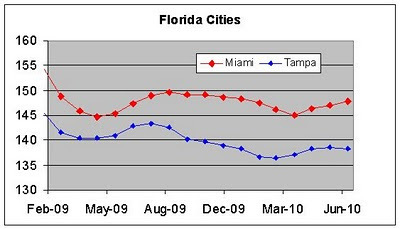 On the other hand the markets in Florida do not seem to have quite turned around. 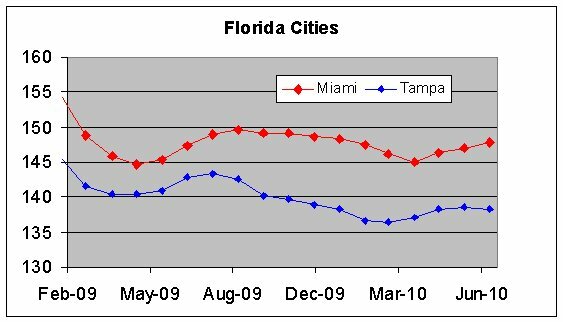 Looking at Tampa and Miami it looks more like they are bouncing around or trending slightly down. 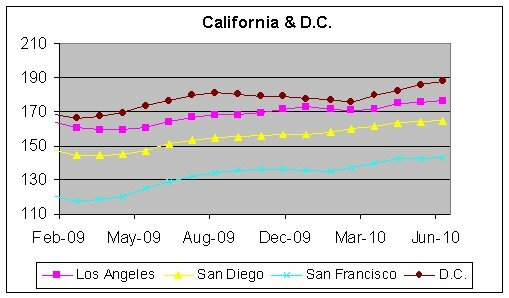 Now again, looking towards the future its impossible to know for sure where prices go from here either nationally or in any specific city. 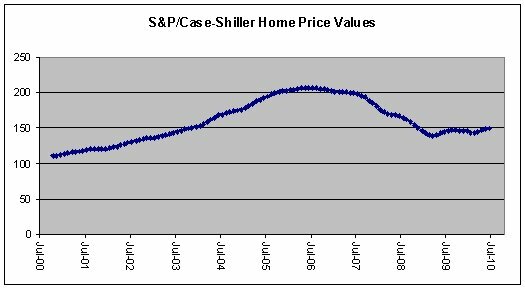 It seems that prices are no longer plummeting and that at least is good news.